Note: This article was updated on May 25, 2018, in light of Google rolling back character counts on their search snippets. While meta page descriptions are not considered search engine ranking factors, they do indirectly affect search engine optimization (SEO). A while back, we shared a post on how meta descriptions impact SEO, and how to write copy for them to attract click-throughs from search. 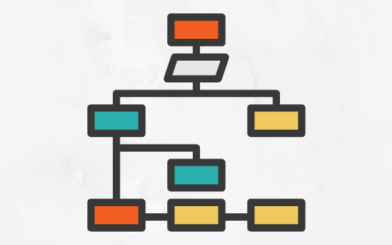 As a reminder, meta page descriptions are an element of “on-page SEO,” but are not visible on the page itself. They are coded into the page and signal to search engines and search users what the page is about. This copy becomes visible as snippets of text below each page title on search engine results pages (SERPs). In December 2017, Google announced it was lengthening snippets on their search results pages to up to 320 characters. Google reps advised from the start to not worry about changing meta descriptions on your site following this update, as this change had more to do with how Google dynamically generates snippets based on individual search queries. On the other side of the coin, even though tight spaces have made us more clever with our copywriting, SEOs have long lamented how small a space 160 characters is to make a case for a page. So for those key pages where you can say more than you’ve previously been able to, why not update with an improved description? Of course, 320 characters is a LOT of room, and just because the room is there doesn’t mean you need to fill it. We decided to test with lengthened meta descriptions for key pages on our own sites and client sites, being careful to include the most important information in the “front” of the description in case the snippet ended up getting cut short in SERPs. Wait…We Have to Go Back? The SEM Post recently shared a great breakdown of this reduction in search results snippets. Some are still longer, but many have now been reduced to two lines, as they used to be—meaning longer descriptions are definitely being truncated in search results (but not always…yet). As mentioned in The SEM Post’s article, the reduction was likely made because the longer snippets could be too long to be read for voice search results, the shorter length of the past had still been the standard among the majority of site sites (or sites still had no descriptions coded at all), and the longer snippets could take up too much space for search results on mobile screens. If Google likes your description, and finds it matches the query, they’ll use it in full on the results page. However, Google may also decide that on-page content is better suited to the search query than what you’ve designated, and the search results will display up to 320 characters from on-page content instead. That’s where the “dynamically generated snippets” referenced above come from. There’s no silver bullet to ensure what you’ve written is chosen for Google’s snippet, aside from writing a clear and succinct description that accurately summarizes the page and includes relevant keywords. But at least you’ll have some control over what gets displayed in connection with your site’s results. Oh, and about that character count? These things can always change over time (and by device, query, etc), we’re not announcing any fixed count as a target. Our approach continues to be: Write carefully-crafted, longer copy—but make sure that information that really speaks to what the page is about is front-loaded in the description, before that potential 160-character cutoff. If the text is cut off in snippet, you’ll at least have conveyed the most important part of you message. We recognize we’re guilty of focusing a lot of time and attention on what Google’s doing, but with good reason: They carry the lion’s share of search users. 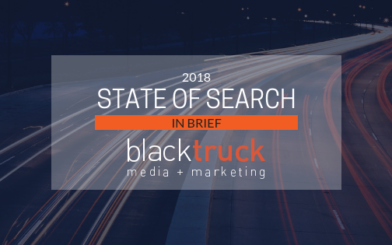 BlackTruck’s organic traffic in 2017 overwhelmingly came from from Google (97.90%), followed by Bing (1.56%) and Yahoo (0.43%). Other engines will of course display lengthened copy a bit differently, so if your site gets a decent percentage of visitors from those other engines, consider how the descriptions might display as snippets on those results pages. Just more proof that this space is always changing. We’ll be watching, testing, and updating accordingly.